Woods Hole Oceanographic Institution (WHOI) scientists Rockwell Geyer, Susumu Honjo, and Delia Oppo have been elected 2014 fellows of the American Geophysical Union (AGU). They are among 62 new fellows who will be honored for “exceptional scientific contributions and attained acknowledged eminence in the fields of Earth and space sciences.” As a symbol of accomplishment, they will each receive an official certificate at an Honors Ceremony held during the during the 2014 AGU Fall Meeting in San Francisco. The AGU is a not-for-profit, professional, scientific organization with 62,000 members representing over 148 countries. Established in 1962, the AGU Fellows program helps identify experts who could advise, upon request, various government agencies and other organizations outside the Earth and space sciences. Fellows are nominated by their peers and chosen by a committee of existing fellows. It is a distinguished honor bestowed upon no more than 0.1 percent of the AGU membership annually. “I am thrilled and honored to be counted among such a distinguished and illustrious group of oceanographers and geophysicists,” said Geyer, a senior scientist in the Applied Ocean Physics and Engineering (AOPE) Department at WHOI. Geyer’s research focuses on estuarine and coastal transport processes, sediment transport, and numerical modeling of estuaries and river plumes. His many projects include work on the Amazon outflow, the Po River outflow in Italy, the fjords and estuaries of the Pacific Northwest, the tidal channels of New England and Singapore, the Hudson River, the Eel River plume in northern California, and the western Gulf of Maine. Geyer’s work includes a blend of observational process-studies and numerical modeling, directed both at basic research questions and applied problems of societal concern, such as harmful algal blooms and contaminant transport. Geyer first joined the WHOI staff in 1985 as a postdoctoral scholar. He was promoted to associate scientist in 1991 and to senior scientist in 2001. 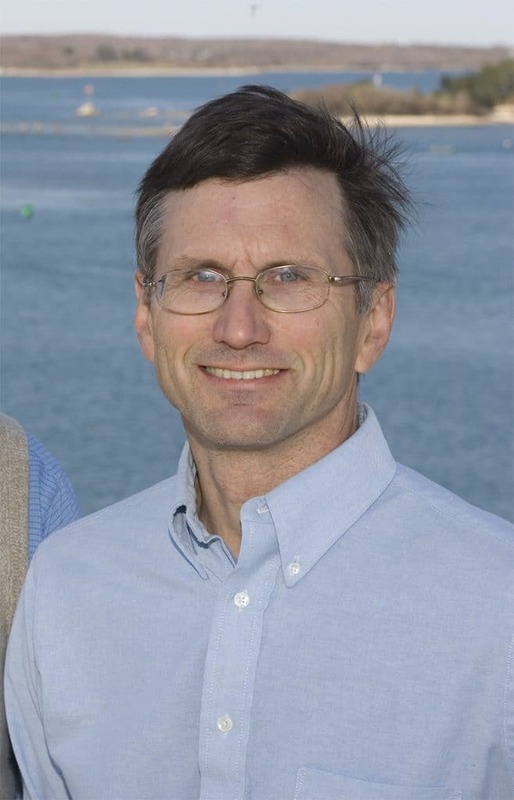 Geyer served as director of the Institution’s Rinehart Coastal Research Center from 1996 to 2001 and was chair of the Applied Ocean Physics and Engineering Department from 2001 to 2005. In 2006, he was chosen to receive the Mary Sears Chair for Excellence in Oceanography at WHOI. Geyer has also served on the National Research Council’s Panel on Environmental Processes: Source, Fate and Transport, and has served as a member of the Ocean Studies Board. He received a bachelor’s degree in geology from Dartmouth College in 1977 and M.S. and Ph.D. degrees in physical oceanography from the University of Washington in 1981 and 1985. Since the 1970s, Honjo has conducted experiments around the world to better understand the process, rates and the volume of the transfer of carbon dioxide (CO2) from the atmosphere to the ocean’s interior and sea floor. He is a founder of the International Joint Global Ocean Flux Study (JGOFS), an international collaborative research project established in 1983 to understand the ocean carbon cycle. Through his 15-years of leadership, the project collected data through sediment traps at sites in all the major ocean basins of the world. “I am honored for my opportunity to tackle such a fundamental oceanographic question—the global cycle of biogenic carbon—with distinguished WHOI and international colleagues,”said Honjo, a senior scientist in the Geology and Geophysics Department at WHOI. Honjo was born in Japan and has been a U.S. citizen since 1978. He joined the WHOI staff in 1970 as associate scientist and was promoted to senior scientist in 1982. 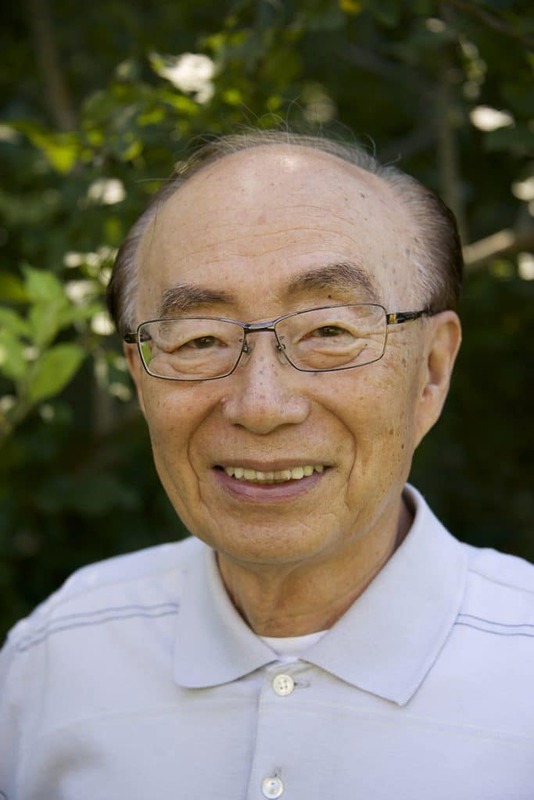 In 2003, Honjo received the Imperial Order of the Rising Sun for his research on the transfer of CO2 from the atmosphere to the ocean’s interior and for his efforts to strengthen Japan’s role in the international ocean science research community. He was the first oceanographer to be presented with the honor. In 1998, the Japan Marine Science and Technology Center (JAMSTEC) invited Honjo to be a part-time executive director of the organization. Through JAMSTEC, Honjo directed the establishment of a new ocean research institution, the Mutsu Institute for Oceanography, in Mutsu City, Japan. Honjo served as the first Director of the Joint North Pacific Research Center at WHOI, a collaborative effort between Mutsu Institute of Oceanography of JAMSTEC and WHOI. He also held the Institution’s Columbus O’Donnell Iselin Chair for Excellence in Oceanography from 1989 to 1994. Honjo holds degrees in geological sciences from Hokkaido University, and has been active in education and training programs, supervising many graduate students in the MIT/WHOI Joint Program in Oceanography and Applied Ocean Science and Engineering and postdoctoral investigators. 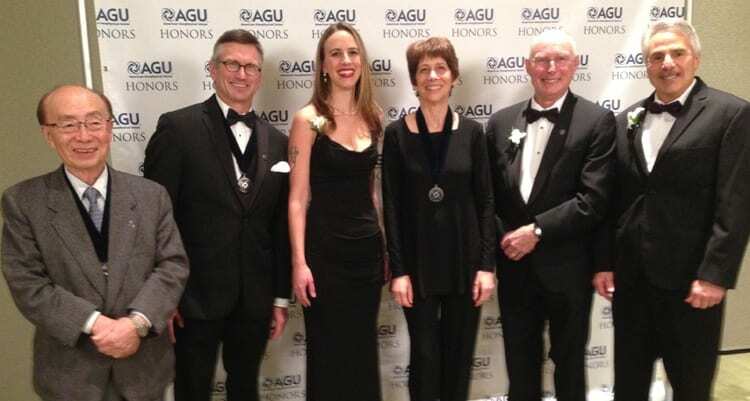 “It means a great deal to me to be honored by the AGU with this award,” said Oppo, a senior scientist in the Geology and Geophysics Department at WHOI. Oppo’s research focuses on past variability of ocean circulation and the climatic impacts of those changes. Her projects include reconstructing ocean circulation during the last Ice Age, during abrupt climate events that occurred as the large Ice Age continental ice sheets collapsed, and during the last 10,000 years in the absence of large ice sheets. She also researches how these ocean circulation changes and other factors influence tropical rainfall and vegetation. Oppo enjoys her many collaborations with other scientists, including post-doctoral scientists and students, who make her multi-disciplinary research approach possible. Oppo has been chief or co-chief scientist on five sediment coring cruises, most recently, on the research vessel R/V Endeavor earlier this year collecting sediment south of Iceland. The goal of the cruise was to collect sediment to reconstruct changes in ocean circulation during the past few hundred years, to put possible recent changes in the broader context of the large variations that have occurred since the last Ice Age. 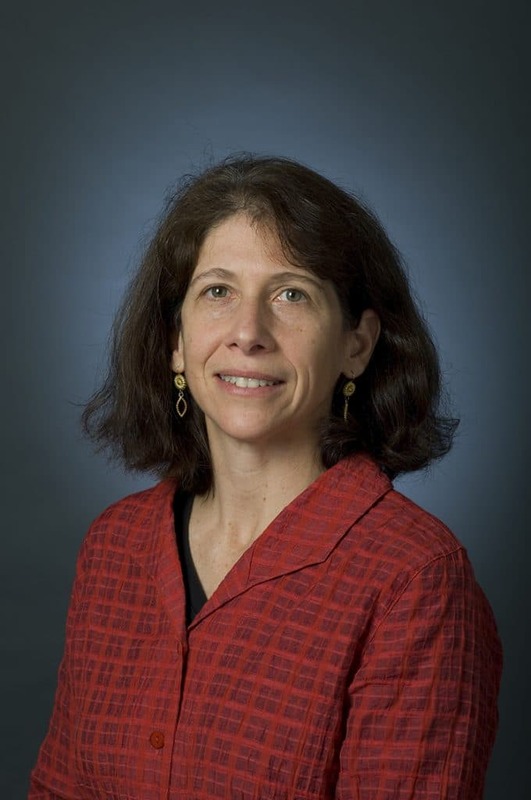 Oppo joined the WHOI staff in 1989 as a postdoctoral scholar and was promoted to senior scientist in in 2006. Also in 2006, she was named a WHOIOcean and Climate Change Institute Fellow. Shewas a Joint Oceanographic Institutions/U.S. Science Advisory Committee Distinguished Lecturer in 2000 and the Emiliani Lecturer at the AGU fall meeting in 2009. Oppo is active in educational programs, supervising graduate students in the MIT/WHOI Joint Program in Oceanography, as well as hosting postdoctoral fellows. In 2009, Oppo started the Falmouth Area Climate Summer Internship Program in partnership with Falmouth Academy, initially funded by WHOI’s Ocean and Climate Change Institute. This program, which ran through 2013, gave local high school students interested in science an opportunity to make meaningful contributions to her ongoing research programs. She now offers the same module through the Falmouth Academy Science, Engineering and Technology Scholars Program, which was made possible through funding from the Edward E. Ford foundation. Susumu Honjo, a senior scientist in the Geology and Geophysics Department, was cited "for his contributions to our understanding and observations of marine particle compositions and fluxes and of the oceanic biological pump."